How long does the AFK detection timer take to kick in? Most AFK players will receive a message stating that if they do not participate in the next 45 seconds, they will be kicked for being AFK. However, how long does it take before that message appears? The inactivity detection has been implemented in this alpha patch and hasn't been changed since. The AI control will kick in after 3 minutes of inactivity. 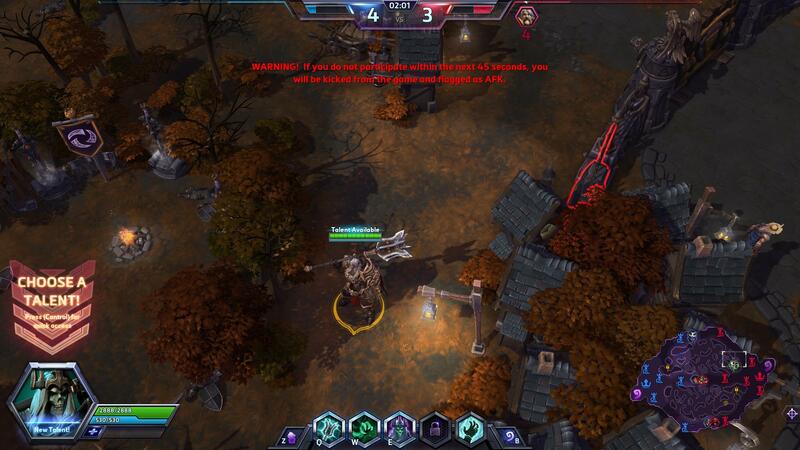 He/she will be given an AFK warning and subsequently dropped from the game in 45 seconds. 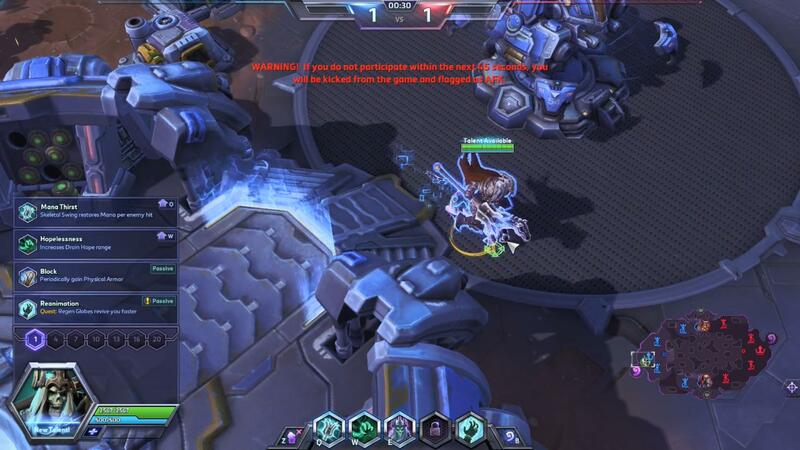 The time taken to trigger this warning is at 30 seconds of game start, IF the player does not leave the base area, as shown in the screenshot below, which excludes the 35 seconds of pregame time, where it is impossible to fulfill any of condition (b) anyway. Inactive players dropped this way will not be able to reconnect (at least in multiplayer AI). Their Hero will be controlled by an AI for the entirety of the game. I tried this with 2 computers / 2 accounts. It will appear as a 'loss' in the match history of the player who was dropped for AFK. No penalties will be given for leaving an AI game. Hence, if you're going to AFK AI games with more than 1 account, you should disconnect your internet and rejoin before the game concludes, instead of AFK-ing and getting kicked by the system. Note that you do not have to successfully rejoin before the game ends, but you must start your rejoin timer before the game ends. Disclaimer: I do this often in 2-player AI and have never been in any trouble for it, but I cannot guarantee that this will be the case forever. Is there a way to make old replays viewable?